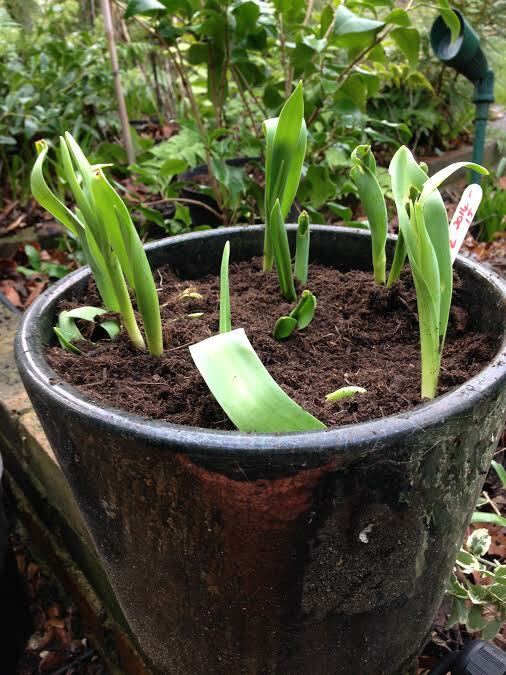 Like many other gardeners, I sometimes come upon a sad little collection of bulbs saved from the previous year, with an optimistic label such as 'Lovely burgundy red tulips. Re-plant!' 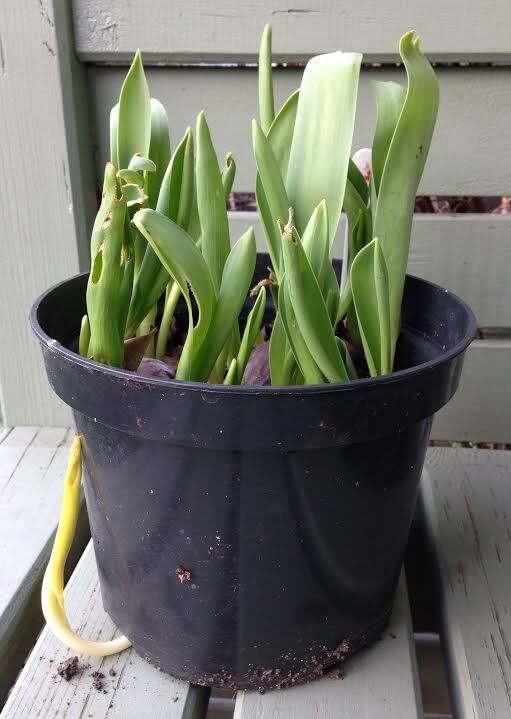 These forgotten bulbs were undeterred and growing anyway, with no soil and no attention. They were a tangle of roots, and some were growing sideways and upside down. So I've separated them, and given them soil and a pot of their own. I have no idea whether they'll flower, so watch this space!